The Penguins need their stars to be better. The Islanders had held serve at the Coliseum over the past week, winning a dramatic 4-3 overtime contest in Game 1 on Wednesday and a decisive 3-1 victory in Game 2 on Friday. If the Penguins want to dig their way back into this series, their stars must be. Wilson gave the Penguins a 1-0 lead by deflecting a shot from Marcus Pettersson past Lehner at 12:54 of the first period. Leo Komarov scored midway through the third period, and Anders Lee scored into an empty net for NY, which has outscored Pittsburgh 11-5 through three games. Matt Murray made 32 saves for Pittsburgh, which last lost the first three games of a series in 2013, when it was swept by the Boston Bruins in the Eastern Conference Final. New York, which allowed an NHL-low 196 goals during the regular season, has surrendered just five in three games. It's going to be tough for the Penguins to secure a victory in NY, but it's critical if they want any hope of winning the series. Pittsburgh head coach Mike Sullivan downplayed the idea his team was "desperate" while facing a 2-0 deficit for the first time in his highly successful tenure. NY also kept Pittsburgh's stars quiet as Sidney Crosby, Evgeni Malkin, Phil Kessel, and Jake Guentzel combined for zero points. Yet the Islanders responded immediately. 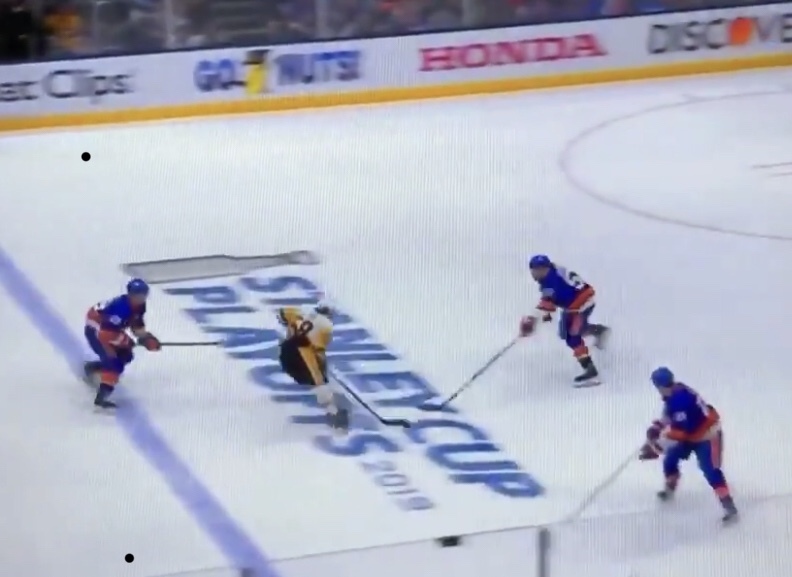 Jordan Eberle continued his productive postseason by scoring his third goal of the series on a lovely shot following a fantastic feed from Ryan Pulock. But by the start of the third period, the Islanders were up again, this time 2-1. When Komarov's score 10:27 into the third extended the lead to two, the Islanders were firmly in control and Pittsburgh's post-season appearance inched closer to being the shortest of its 13-year run.